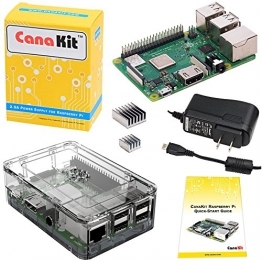 Nowadays, Linux is one of the most popular operating system in the world. Besides any other OS (Operating System) most of the PC users want to install Linux/Linux based operating system on their PC. But without a proper guideline, they can’t dual boot Linux alongside Windows. Or, if they tried to install, they sometime Format their whole Harddisk/Storage.In this tutorial, I will show you dual boot Linux alongside Windows 10. 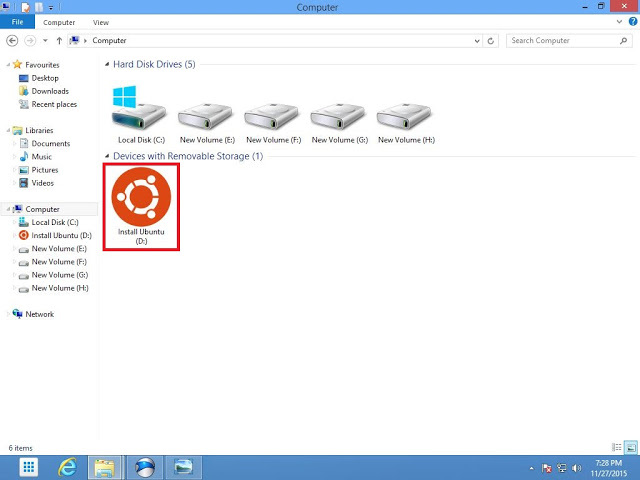 You can also use Windows 8/8.1 to follow this tutorial. 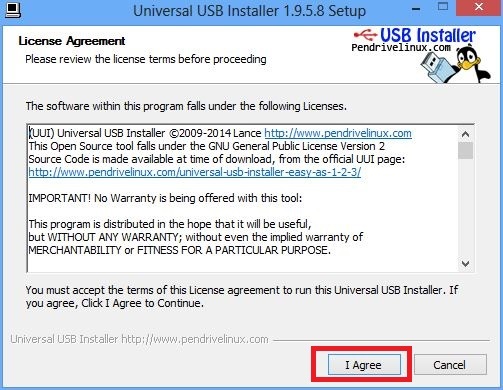 Universal USB Installer software. You can download it by clicking the button below. Click on the “Browse” button and select your desired ISO file. 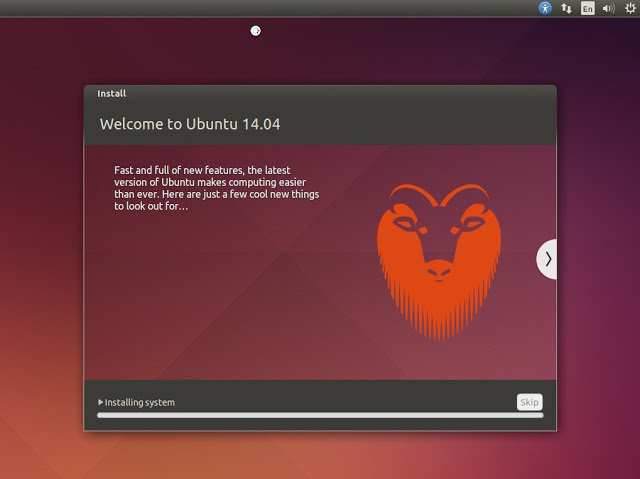 We have chosen “ubuntu-14.04.3-desktop-amd64″2. Now, select a Linux operating system name from the list. We have chosen Ubuntu. Note: You can Format your drive by check the “Format” checkbox. But, Format is not mandatory. 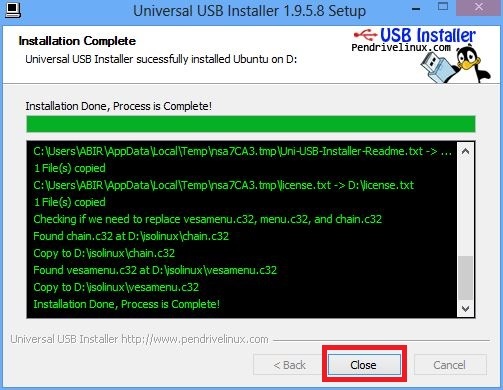 Universal USB installer started its process. Wait until the process has completed. When the process has completed, a dialogue box will appear. It’s message “Installation Complete, Process is Complete!“. Click the “Close” button. You can now see that your USB drive Icon has changed. 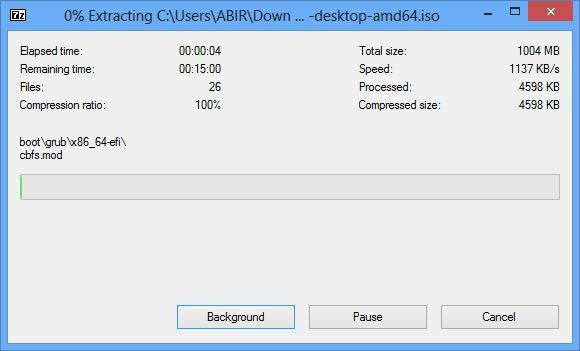 It proved that the USB Drive is ready for installation. 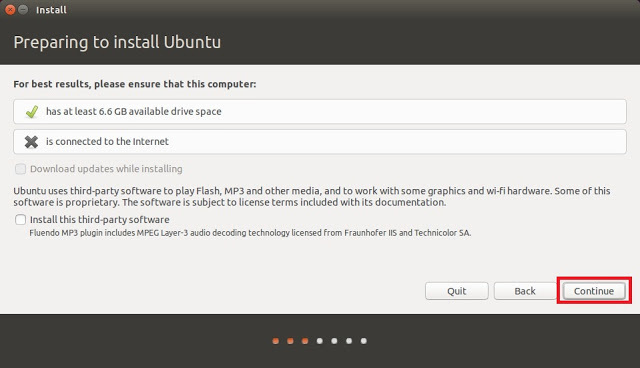 Our Pendrive is ready for install Ubuntu Linux. 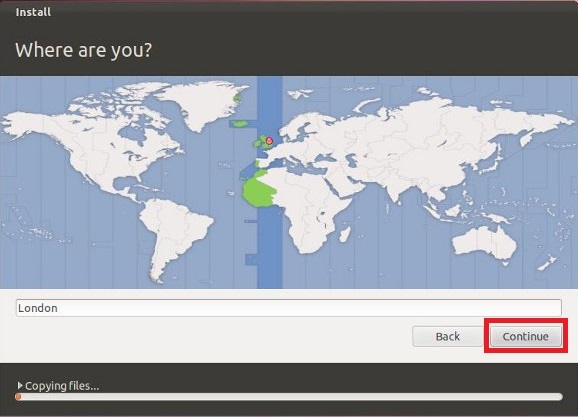 Now restart your PC/Laptop and boot from USB Drive.After booting from Pendrive, the Ubuntu installation screen will appear. So, now click “Continue” for continue installation. You see that there are several partition on our hard drive. We need to format a drive which runs on “Ext4 Filesystem“. 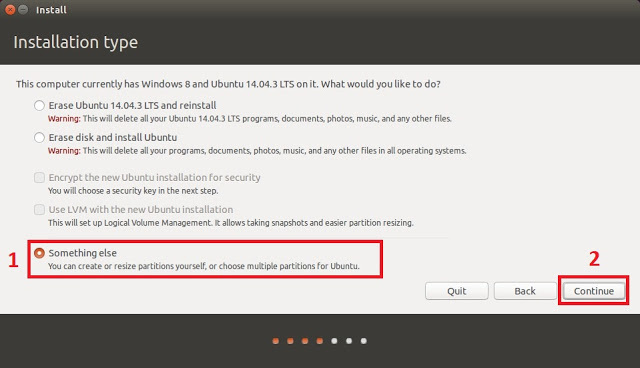 Click on your selected partition and click “Change”. A dialogue box will appear. 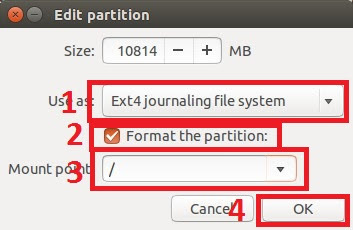 You see that the partition is formatted as “Ext4 Filesystem“. Click “Install Now” button to continue installation. Note: We do not choose any “Swap” drive because this is only for temporary dual boot Linux. If you permanently use Ubuntu/Linux, my advice is run ubuntu as a single operating system and then you need the swap drive. After the restart, the boot menu will appear and you can choose your desired operating system. Such as Windows and Ubuntu/Linux. 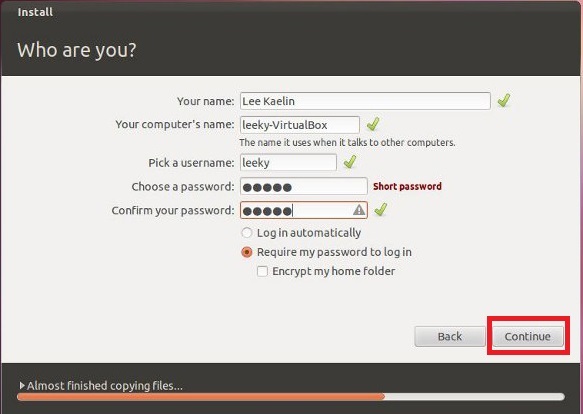 Select Ubuntu and login to your Ubuntu desktop. This is the ultimate process of dual boot Linux with Windows. Thanks for reading this post. 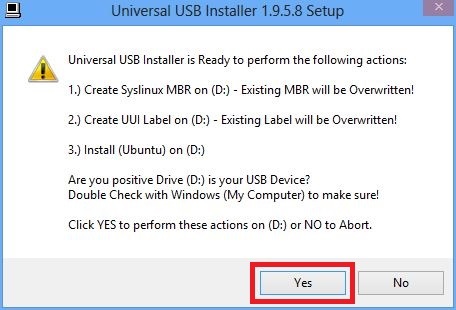 DON’T do this on a UEFI PC, definitely use RUFUS 2.7+ with the UEFI/GPT options for the USB. Thanks for your comment Jeff.But, it works well on UEFI.If you download the latest version, it will work properly.And, Rufus is mainly used for installing Windows 8/8.1/10 from USB drive. I am grateful to your for instruction. I did just the way you said and successfully done but it’s not properly useable. I can not install any of my essential app like chrome. is there any other to follow after installation. 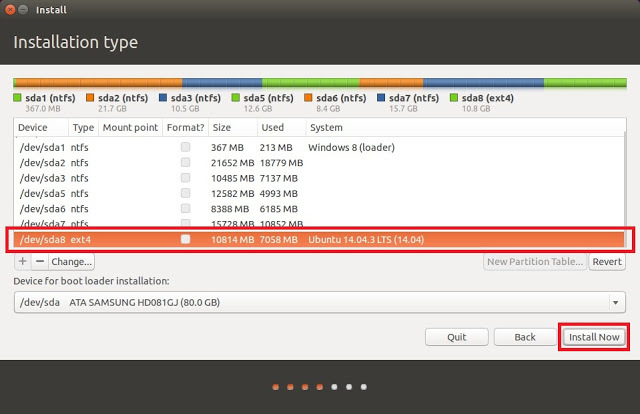 Definitely,.you can install application from Ubuntu Software center,Synaptic Package Manager,Via Terminal or a stable .deb file.I will describe all of the things to another article soon. Whenever I dual boot from Linux to windows I have to make sure I unplug my internet from the Linux otherwise it won’t work on the windows and honestly if this isn’t some special kind of hell. Yes, Chrissy.I agree with you. Hi Asaduzaman Abir, I’m just trying to install a dual-boot Linux Operating System and I have made up my mind on going for Linux but my issue is I have searched google and almost everywhere but couldn’t get a clear picture of; what’s the difference between UBUNTU and LINUX OS.Just don’t want to be confused. 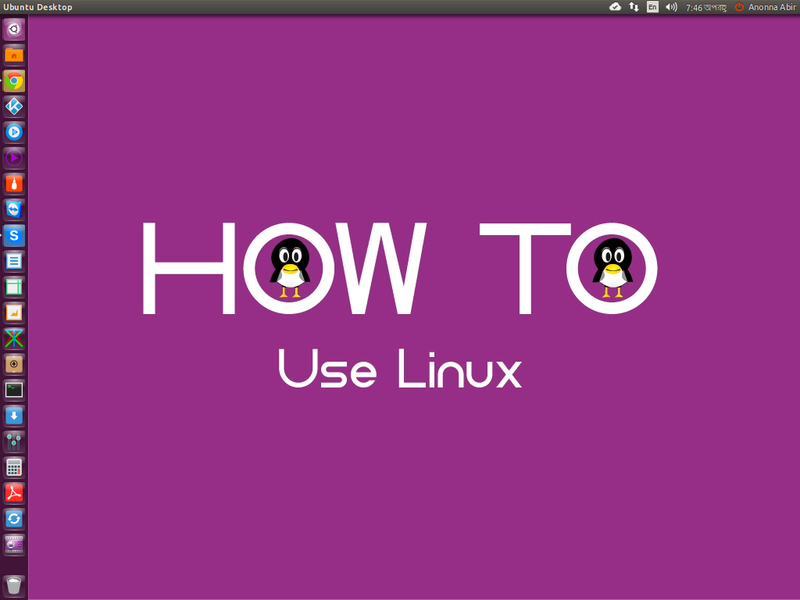 Thanks for your comment Charlotta Lind.You can read this guide.You will find a clear concept about Linux and Ubuntu. I have a dual boot with DOS and Ubuntu on my laptop. 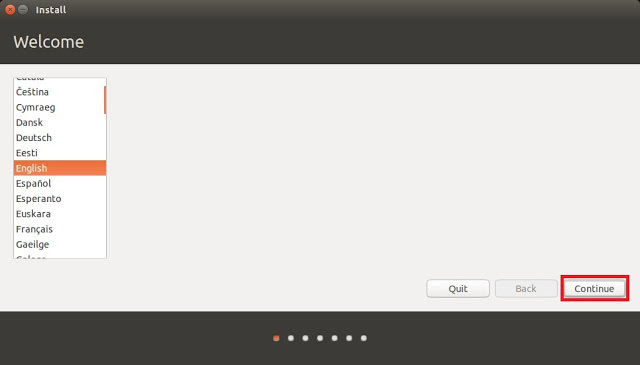 I cannot use DOS to delete directories created in the root by Ubuntu. I can use a disc editor, but it’s extra work.Can you tell me about a DOS utility that will allow deletion of Linux-created directories? Thanks for your comment Smithg240.Stay tuned How To Use Linux. Valuable information. Fortunate me I discovered your website by chance, and I am surprised why this coincidence didn’t happened in advance! I bookmarked it. is this work on win 7 ? If I want to dual boot Window with Ubuntu, then can I access window files when I am in Ubuntu? Yes. But, if you are using Windows 8, 8.1 or 10, then turn off Fast Boot in Windows, otherwise, you will get weird messages, which actually says, Windows is in Hibernation state, go back and shut down Windows completely to access the partitions. Yes you can access Windows files from Ubuntu but can’t access Ubuntu file from Windows. First, great tutorial! Secondly, I have a problem. I installed Win10 on its own HDD.Then installed Ubuntu on it’s own HDD. But GRUB apparently didn’t install, so I boot straight into Linux. 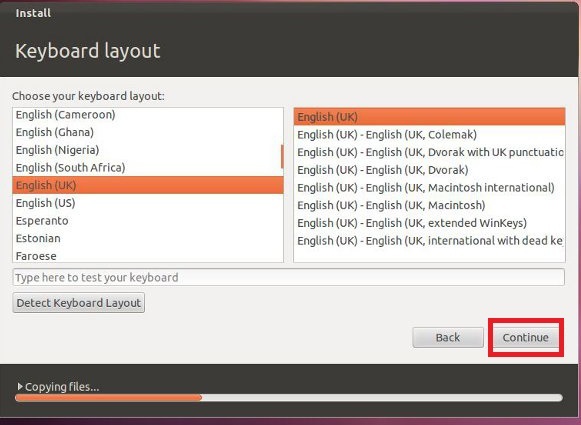 So, from Ubuntu, how can I correct that? Thanks for any help and thanks again for the article! Thanks for your comment George.Yes, but it is a little more complicated with Windows second.When you install Windows it will overwrite Grub making it temporarily impossible to boot into Linux.You have to use a bootable usb utility to fix grub to be able to boot back into Ubuntu.At least that is the way it was when I did it. Trying to follow your tutorial but got stuck at the first step that is using the bios so that I can boot from the USB. Any suggestions? 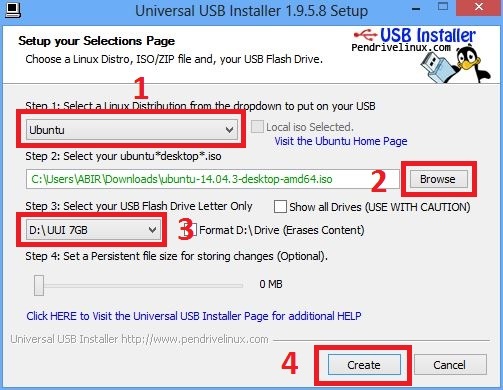 The way you can boot from USB is by opening BIOS and changing the boot preference to your flash drive. You can open BIOS by pressing F12 or may be different key. You can google that how to open BIOS in your particular laptop or PC. In my laptop, I have a different button for booting into BIOS.Search for you laptop.